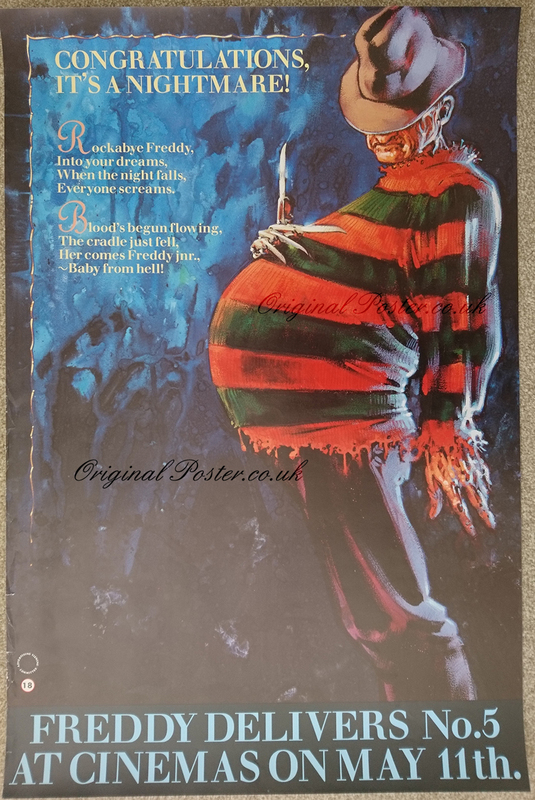 Details This unusual Freddy film poster advertises delivery No. 5 a very new type of delivery for the pregnant Freddy! Complete with nursery rhyme. This film poster is in rolled condition with slight creasing and edge wear to the left hand side as seen.